You are cordially invited to The Orphic Gallery in Roxbury, NY on Saturday, June 7th from 5 to 7 pm for an artists’ reception celebrating its first exhibit for the Summer of 2014 – Images & Objects, Stories & Sounds featuring sculpture by Lenny Kislin and photographs by Catherine Sebastian. 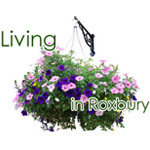 This summer, the Roxbury Arts Group is excited to present two concerts in Veteran’s Memorial Park, located in the center of Stamford Village, NY. On Tuesday, June 10, 2014, a buffet luncheon at the Otesaga Resort Hotel in Cooperstown, New York, will close the 2013-2014 Roxbury Library Association Tuesday Forum season. The Roxbury Arts Group is happy to have the opportunity to offer this summer two jcamps in July for our youth, ranging in ages from 4 years to 15 years. Join artists Carrie Yamaoka and Peter Yamaoka at the Walt Meade Gallery in the Roxbury Arts Center on Saturday, June 7th at 4:00 PM for a Book Launch Reception and an artist talk being offered in conjunction with their current exhibit Correspondences. The popular Drop In Art Class Series offered by the Roxbury Arts Group continues on Saturday, May 17th with a photography workshop led by artist Kevin Q. Gray.